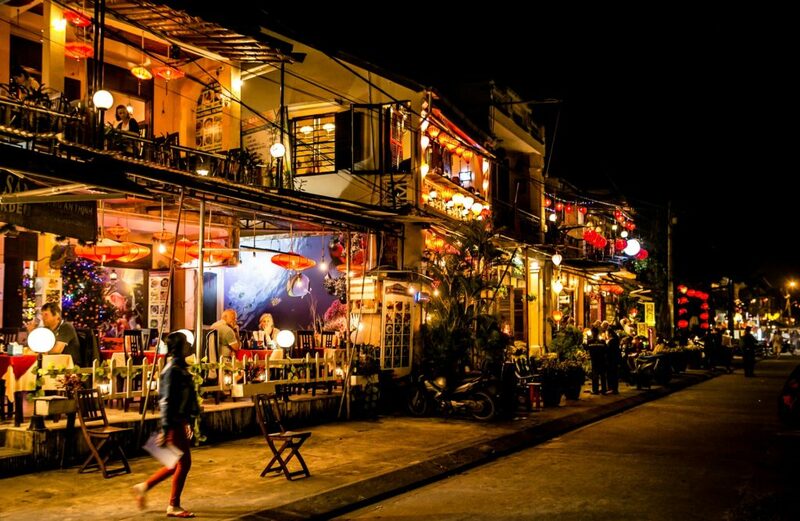 This tour takes students to explore the history, culture and beautiful architecture of Hội An before venturing out of the city to stay in a tribal village and engage with its local community. Students learn about the village community’s culture, help to build new toilets for the village and spend the night staying in its unique stilt-houses! Upon return to Hội An, there’s still plenty more packed into the itinerary. Students learn about farming and take cooking classes; visit a local high school; along with a tour helping the group to understand the city’s fascinating history and outstandingly beautiful surroundings. Arrive at Danang airport where the group will be met and transferred to Hội An. Reengerise after the flight with a break and time to enjoy lunch. Then it’s time to get started on the adventure! You will be taken on an orientation walking tour of the ancient town, visiting the Japanese Covered Bridge, Phung Hung Old House, Phuc Kien Temple and Hội An Museum. Stop for dinner, then the group is free to explore the city’s famous night market. After breakfast, you will take a 2 hour journey to tribal village. 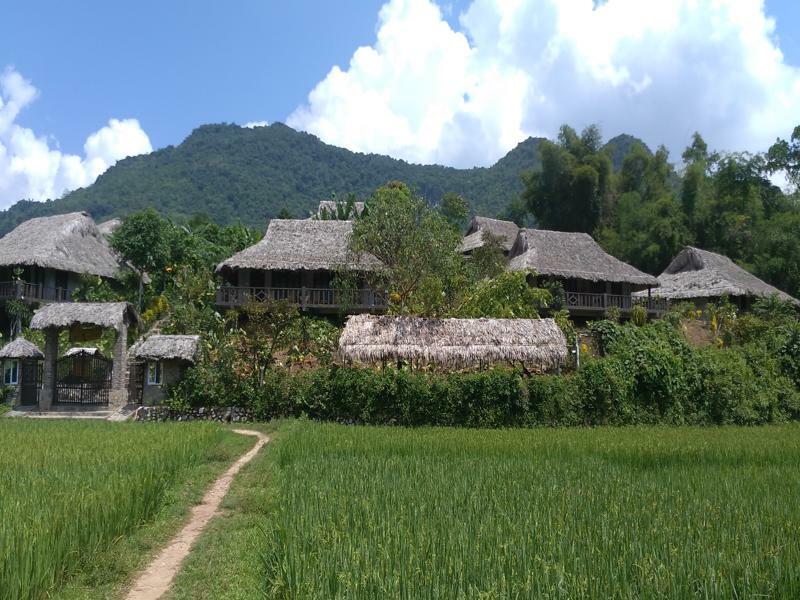 On arrival, you will be introduced to the local villagers and inspect their basic dwelling houses, gaining an understanding of village life and the daily challenges they cope with. After lunch, start with a full orientation of the community service building project, covering safety and allocation of tasks. Students will be completely involved in building one or two needed toilets for family homes. The hosts for this evening will be the local villagers. Enjoy dinner and overnight in the overnight homestay. Tonight’s accommodation is in a stilt house and is likely to be more rustic than you might be used to – but an amazing experience! Spend a full day getting involved in the community service building project. Complete your project late in the afternoon and have the official hand over of the project to the local villagers. Tonight, a traditional dance will be performed by the local villagers after dinner! Spend the second in the overnight homestay. Say goodbye to the host and local villagers; it is time to transfer back to Hội An, where the group will cycle to Tra Que farm village. Take a stroll around the vegetable garden and then join the farmers in preparing the land and fertilizing it with seaweed from the local lake. During your time at the farm, learn about raking the ground, sowing, watering, and picking vegetables, as well as many other aspects of gardening. After working in the garden, take a short rest and enjoy a foot bath before getting ready to prepare lunch with a local family. The meal will feature many local delicacies, such as Tam Huu spring rolls and Banh Xeo local pancakes. The group will have the opportunity to get fully involved with the food preparation! Following the morning excursion and lunch, the group is free to take a short rest – or nap – before returning to the garden and learning how to harvest and wrap the vegetables. Afterwards, continue the cycling tour alongside the Thu Bon River to visit a local fishing village. 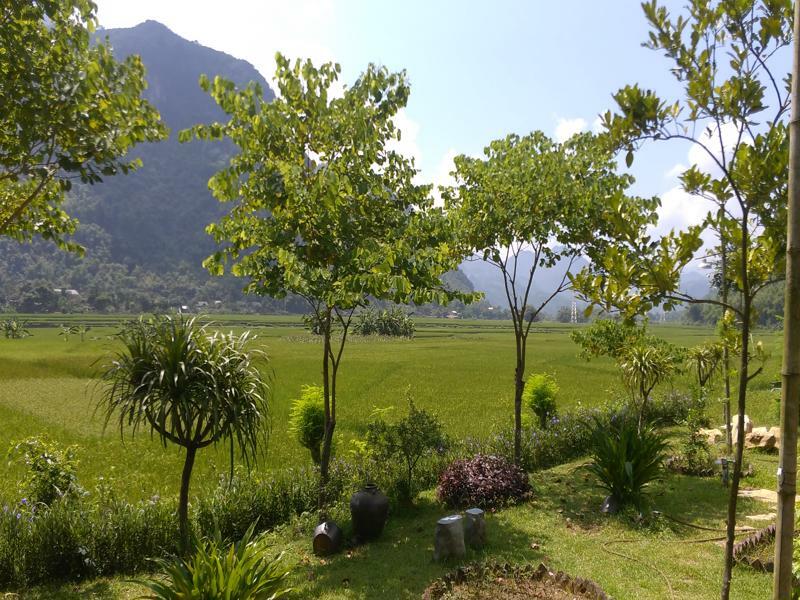 The ride continues along the beautiful country lanes at a peaceful pace, viewing local life and pausing to see farmers toiling in their rice fields. The route winds through palm forests, across bridges and passes fields of water buffalo. Leave the bikes on the riverbank, if time permits you will take the boat trip inside the coconut water palm forest. Tonight, the group will stay in Hội An. Spend the morning visiting a high school before taking a 30-minute drive to Marble Mountain, a cluster of 5 limestone and marble hills overlooking the Eastern Sea. The main mountain has many caves and pagodas dating from the early seventeenth century. After climbing the 150 steps the reward is a commanding view down the length of the coast. During the war in the 1960’s the Huyen Kong cave within the mountain was the base for the Vietnamese revolutionaries. After lunch, continue to visit the ancient ruins of My Son, a collection of temple ruins constructed between the 4th and 14th centuries by the kings of Champa. Influenced by Hinduism, these temples were a place for worshipping Shiva and Vishnu. 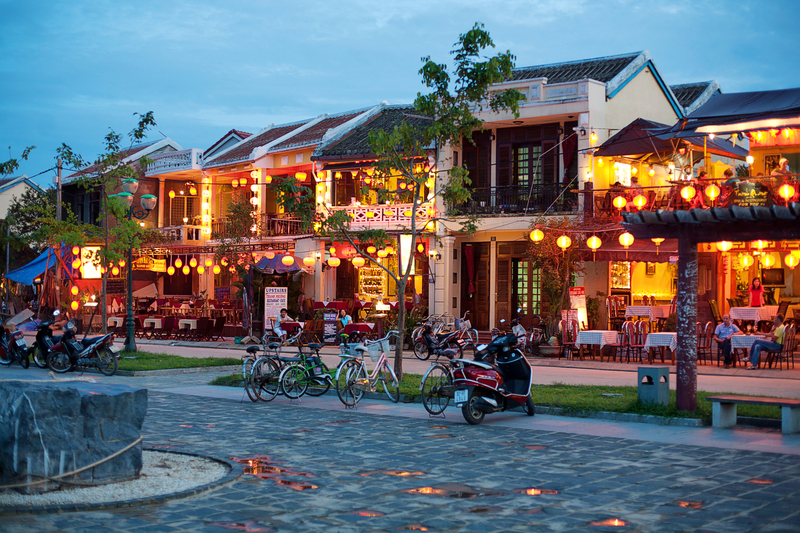 The group will then enjoy their last dinner and final night staying in Hội An. After breakfast, the group is able to take the final day at their own pace until transferring to Danang airport for the flight home. After breakfast, the group is able to take the final day at their own pace until transferring to Danang airport for the flight home.